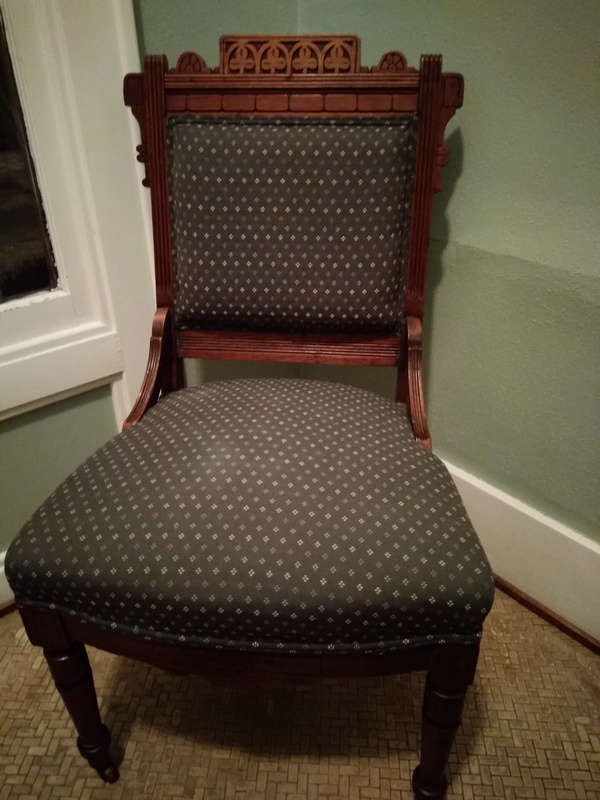 Found this chair for 10$ . It cleaned it up real nice and it looks great . Can't find any info on it. Eastlake Victorian? Any help with description or value would be great. Yes, it's Eastlake dating from the late 1800's, but sadly the market for Victorian furniture is very depressed at the current time. 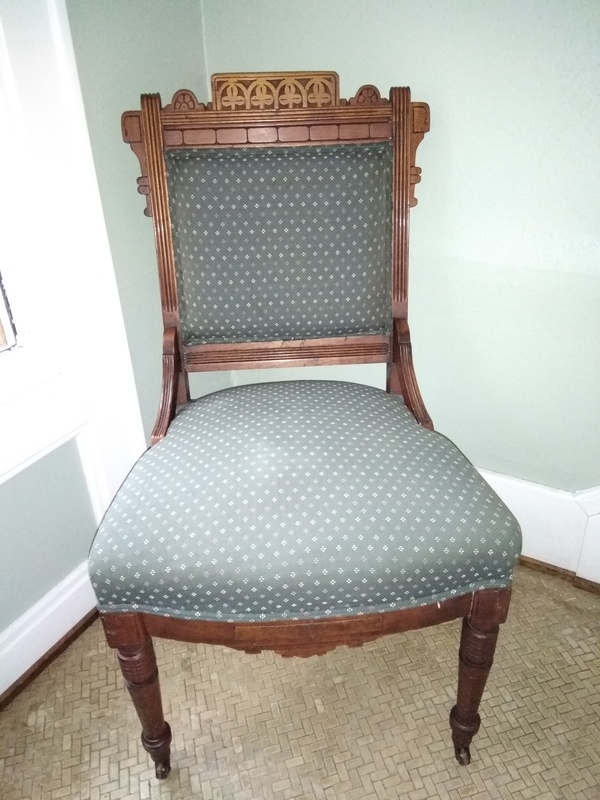 back in the 1980's a chair like this in good shape could easily retail for over $145.00, now it's hard to sell at any price unless it's a signed piece by a big name maker.